Shark Tank Jump Start Your Business (Book 1) was all about the high-level process of starting a venture: how to assess an idea, how to start a business, how to grow a company. The natural extension would be for the next book to be all about the practice, or rather, the application of that process. 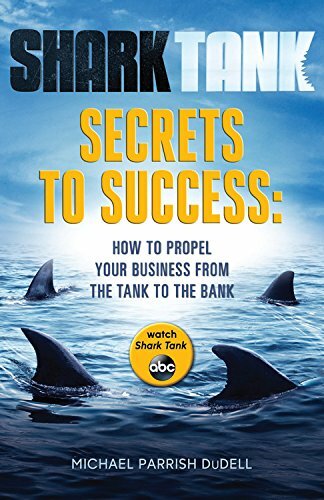 From practical business tips to unforgettable anecdotes and experiences, Shark Tank Secrets to Success provides readers with a playbook custom designed by some of Shark Tank's most successful entrepreneurs. It's the perfect guide for ambitious businessmen and women who want to start and grow a thriving company. In the second book, we zoom in and provide readers with a real-life look at the daily challenges an entrepreneur tackles in order to run a successful company. More than just concepts, this book takes readers through the evolution of what it means to actually be an entrepreneur--from the pages to the pavement. And what better way to do that than through lens of Shark Tank? About: Shark Tank Jump Start Your Business (Book 1) was all about the high-level process of starting a venture: how to assess an idea, how to start a business, how to grow a company.